Having a brand strategy is important for any company or business. Decades ago, branding was defined as a name, slogan, sign, symbol or design, or a combination of these elements that distinguish one company, product, or service from another. Today, branding is more complex and even more important. Lack of differentiation turns brands into commodities and marketing messages into white noise. But a meaningful difference can spark consumer interest and fuel demand for a brand, even when that brand carries a significant price premium. Give people a reason to revere your brand by creating value through brand strategy. What is encompassed in a brand strategy? Your brand serves as a guide to understanding the purpose of your key business objectives and how your customers perceive you as a company, product, or service. Branding doesn’t just count during the time before the purchase—the brand experience has to last to create customer loyalty. Positioning Statement: a unique space in the market to operate in. 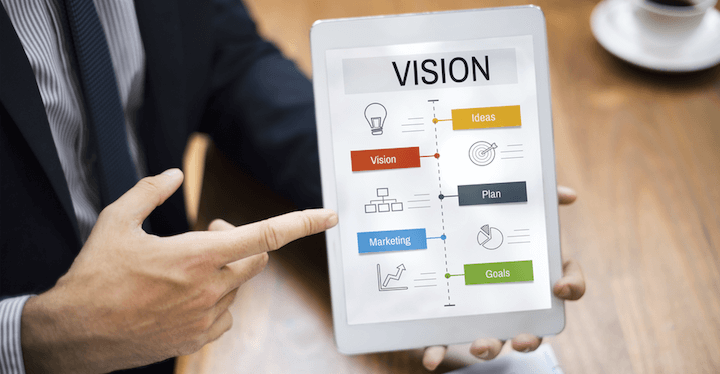 The brand strategy statement is essentially created from the components of your vision, mission, and positioning statements. Style of written communication reflective of the brand personality. Brands should be reinforcing and creating a unified brand experience with a goal of improving relationships with customers and growing their businesses. User experience (UX) is the interactions a customer has with a specific product or service. Your brand helps distinguish you from your competition and makes you more recognisable to customers. Dictates your marketing strategy and provides a clear purpose for why you are engaging customers, and how you are doing so. Helps you communicate with your customers more clearly with a consistent messaging making it more likely to attract and maintain loyal customers. Makes it easier for the customer to buy products they know and trust. Allows your sales team to close more sales based on brand performance alone. Will get you and your key stakeholders on the same page that will align and foster greater cooperation. Creates new processes, products, services and other ideas that will drive innovation. Makes sure everyone from customers to employees working towards the same objectives. A brand strategy helps to create or build a product that is innovative and transformational and establishes a voice, and frames how the company wants to be perceived. As consumers begin to identify with you, your brand will live in the hearts and minds of customers, clients, and prospects, and they’ll connect on an emotional level. If you don’t have a brand strategy today is the day to start the process. And if you already have a brand plan, it would be a good idea to “pull it out of the draw” and review it, and possibly update it. At Wolff Design we can assist and guide you through the process of creating a new strategic brand plan or help you in reviewing your existing program. Contact us for a free consultation via our website – www.wolffdesign.com.au.